By using digital technologies to transform healthcare delivery – and not merely use technology to complement existing methods – academic medical centers can help lead a broad movement in changing the US healthcare system. Traditional academic medical centers (AMCs) can help lead the effort to improve our healthcare system. Digital innovation and transformation will play a pivotal role in that process. Until now, increased use of technology in healthcare has been accompanied by higher spending, much of which may be unnecessary. It has been estimated that out of $2.5T (trillion with a T) in annual spending on healthcare in America, about 1T is not associated with improvements in outcomes. As outlined by health economist David Cutler, there are 6 broad areas of costs: unnecessary care, inefficiently delivered care, missed prevention, excess administrative costs, high prices, and fraud. Digital innovation and transformation – vs mere use of technology and computers – has the potential to decrease many of these costs, and improve the quality of care delivered. In healthcare, digital innovation and transformation begins with widespread adoption of electronic medical records (EMR, or electronic health records, EHR). Use of EMR is essential to obtain clarity on the performance of the health system. Specifically, the EMR provides enhanced functionality in clinical information, results management, computerized provider order entry, and decision support. The importance of EMR was underscored by the passage of the Health Information Technology for Economic and Clinical Health (HITECH) Act, a part of the American Recovery and Reinvestment Act of 2009 that subsidized the purchase of EMR by AMCs and other health systems. In many cases, adoption of EMR is slow because physicians not accustomed to EMRs find them cumbersome to use, hard to learn, and not always helpful to their practice. As EMR systems have improved, their benefits have become more obvious. It is essential for the leaders of AMCs to get buy-in from their staff whenever any digital tool is rolled out. To facilitate adoption of these tools, hospital CEOs can innovate on the organizational structure. Specifically, the departments of information technology need to be created or expanded. Key opinion leaders (KOLs) among the practicing physicians who are facile with the technology could serve on the committees that oversee EMR roll out. They could advocate for their use and demonstrate to their colleagues how the technologies can improve their practice operations and care of patients. In addition to increasing operational efficiency, use of EMR can have transformative effects on how healthcare is delivered inside and outside of AMCs. Two notable examples include use of data, and telemedicine. As more and more data (Big Data) is stored in digital formats, and as technologies are developed that allow those formats to communicate with one another, healthcare providers will have more data-driven insights in to the practice of medicine. At a basic level, digitization of health data facilitates the identification of factors that may be correlated with positive and negative health outcomes. These factors can be translated into clinical algorithms and decision-assist tools. This advances the field of evidence-based medicine, which has grown since EMRs have become more widespread. When prescribing a medication, the provider may have ready access to up-to-date information regarding efficacy and potential side effects associated with that medication in that clinical setting. Overtime, trends can be identified from large amounts of clinical data and translated into standardized protocols for the management of individual diseases. The Big Data also creates an opportunity for researchers to identify new factors to use in prediction algorithms for early to identification of high risk patients. Clinical algorithms are not simple to develop from Big Data. Blunt application of machine learning and artificial intelligence is unlikely to yield useful protocols. Innovators can learn from the framework outlined by Ajay Agarwal, Managing Director at Bain Capital Ventures, Joshua Gans, Professor of Strategic Management at the Rotman School of Management, and Avi Goldfarb, Professor of Marketing also at Rotman. They explain that technologies seeking to provide meaningful use should consider seven key elements of decisions: input, judgment, prediction, training, action, outcome, and feedback. 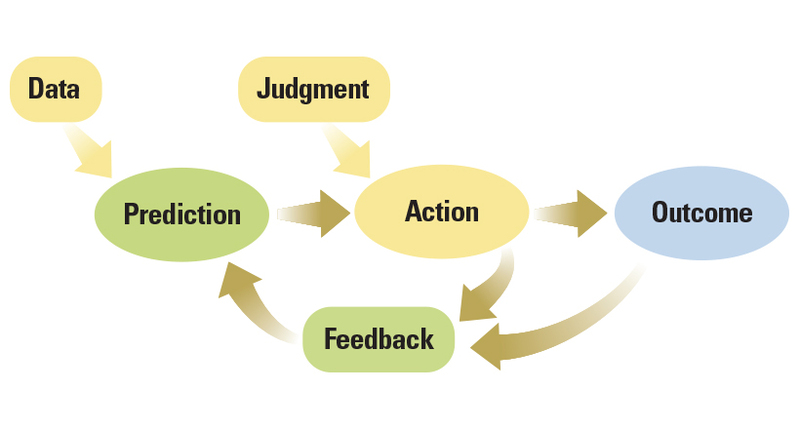 In particular, by identifying the types of data (inputs) that require human understanding, innovators can better allocate tasks between humans and machines. This will help them create efficient systems for developing useful predictions. Population health management (PHM) is also enabled by EMR and digital technology. PHM is the aggregation of patient data across multiple health information technology resources, and the use of that data to improve outcomes of whole populations. These programs aim to scale specific clinical decisions identified in one-on-one patient interactions and apply them to whole populations to improve health and decrease costs. Again, machine learning applications and artificial intelligence – if used correctly – could help distill actionable insights from population health data. Health Catalyst is one company that has started to do this with some success. They understand that machine learning and artificial intelligence are not panaceas but require thoughtful coding of data and translation of insights into action. This understanding has guided them in developing a wide array of tools for clinical and financial decision support, operations management, and care management, now serving over 250 hospitals and more than 3000 clinics reaching over 70 million Americans annually. The use of EMR also facilitates the development of telemedicine. Telemedicine is the remote diagnosis and treatment of patients using telecommunications technology. This includes phone calls at the basic level, but has grown to include video calling, electronic messaging, and mobile technologies. Digital innovation efforts represent a transformation in the way healthcare is delivered. Traditionally healthcare has primarily been delivered in large hospitals, including AMCs. The cost of doing a procedure at a large medical center, however, can be much higher than doing the same procedure at a site outside of the center, with the same level of quality. There is a notion in the healthcare entrepreneurship community that this unbundling of care may lead to more efficient handling of several medical issues. Jonathan Bush – founder and CEO of Athena Health, a leading health IT startup – describes a “vast middle class of healthcare,” below the most technically challenging and medically complex health situations, that is ripe for innovation. Some believe a wave of innovation in this space could create a “digital hospital” of the future. In the future, large AMCs may focus only on complex medical conditions that require the functionality of a giant hospital. Simpler conditions that can be managed in smaller freestanding facilities or even at home could be handled that way. Telemedicine can facilitate this and other transformations in healthcare delivery. Patients can communicate with the providers from anywhere, send emails with pictures for fast consultations and referrals, and receive feedback quickly. Already, there are examples of intensive care units being monitored by remote teams that track vital signs and other data continuously, notify on-site providers of significant changes and recommended actions. Here again, the most significant challenges include getting provider buy-in. Existing stakeholders – in this case intensivists and other providers – should be shown how digital technologies may enhance their effectiveness and not replace them. The proliferation of smart phones also creates opportunities for better delivery of care. Just as mobile advertisers seek to optimize their delivery of the “right message at the right place at the right time” (described in a new book by Professor Ghose at the Stern School of Business), healthcare entrepreneurs can design mobile applications that deliver timely messages to patients to help optimize their care. At the basic level, these include appointment reminders and alerts for health screening tests that may be due. Such systems can also help patients improve compliance. Several innovations paired with mobile phones or other in-home technologies are being developed to help ensure patients take their medications consistently and correctly. Pillo is a robot that dispenses daily medications and watches patients take them. 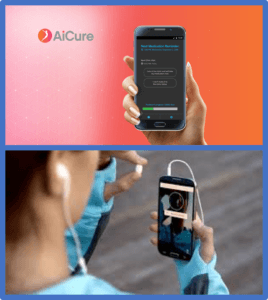 And AiCure is a smartphone technology that uses facial recognition to track patients’ taking of their pills. For all these technologies – EMRs, prediction algorithms, mobile applications, and other consumer applications – privacy is a concern. Given the recent congressional hearings involving Facebook, and the longstanding sensitivity of personal health information, innovators will have to carefully balance the tradeoff between “more data” and “less privacy.” This process can be helped by involving patients and providers in the development of these technologies. The opportunities for digital technologies to transform the delivery of healthcare are legion, and the time is ripe for hopeful entrepreneurs to enter this space. The barriers for adoption of digital technology are significant but appear to be surmountable. It is an exciting time in healthcare. Cutler, David. “Chapter 2: The Value Proposition.” The Quality Cure: How Focusing on Health Care Quality Can Save Your Life and Lower Spending Too, University of California Press, 2014, p. 20. Cutler, David. “Chapter 2: The Value Proposition.” The Quality Cure: How Focusing on Health Care Quality Can Save Your Life and Lower Spending Too, University of California Press, 2014, p. 22. Freudenheim, Milt. “The Ups and Downs of Electronic Medical Records – The Digital Doctor.” The New York Times, The New York Times, 8 Oct. 2012, www.nytimes.com/2012/10/09/health/the-ups-and-downs-of-electronic-medical-records-the-digital-doctor.html. Agarwal, Ajay, and Avi Goldfarb. “Chapter 7: Unpacking Decisions.” Prediction Machines: the Simple Economics of Artificial Intelligence, edited by Joshua Gans, Harvard Business Review Press, 2018, pp. 74–75. Agarwal, Ajay, and Avi Goldfarb. “Chapter 9: Predicting Judgment.” Prediction Machines: the Simple Economics of Artificial Intelligence, edited by Joshua Gans, Harvard Business Review Press, 2018, pp. 98. “What Is Population Health Management?” Philips Wellcentive, www.wellcentive.com/what-is-population-health-management/. Kumar, Jay. “Health Catalyst: Solving Data in Healthcare.” Digital Innovation and Transformation, 9 Apr. 2018, digit.hbs.org/submission/health-catalyst-solving-data-in-healthcare/. “The Health Catalyst Approach.” Health Catalyst, www.healthcatalyst.com/catalyst-approach/. Bush, Jonathan. “Chapter 10: More Disruption, Please.” Where Does It Hurt? : an Entrepreneur’s Guide to Fixing Health Care, edited by Stephen Baker, Portfolio/Penguin, 2014, p. 149. 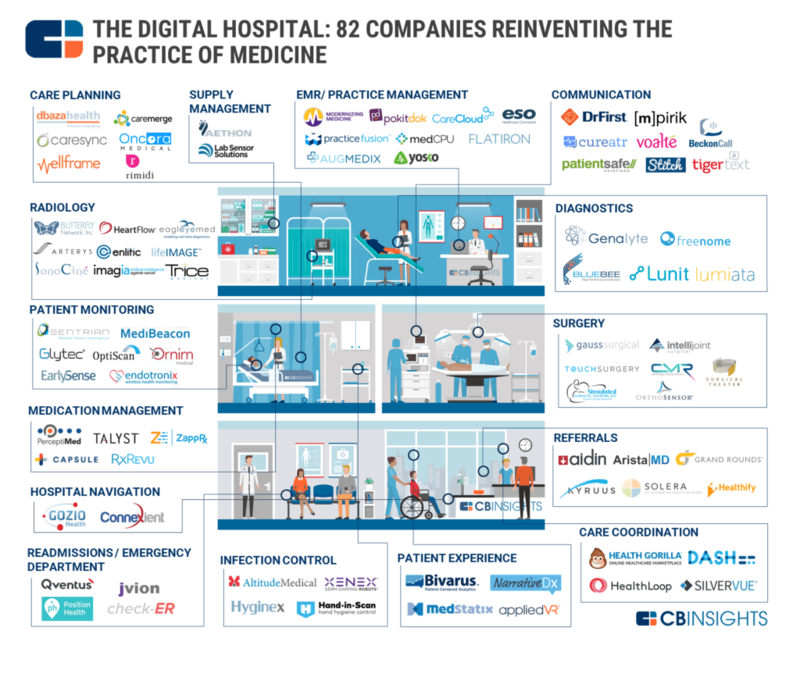 “The Digital Hospital: 80+ Companies Reinventing Medicine In One Infographic.” CB Insights Research, 18 July 2017, www.cbinsights.com/research/digital-health-medicine-market-map-company-list/. Ghose, Anindya. “Chapter 6: Time: It’s On Your Side.” TAP: Unlocking the Mobile Economy, MIT Press, 2018, pp. 89,93. Looper, Christian de. “Pillo Is a ‘Home Health Robot’ That Seems Too Good to Be True.” Digital Trends, Digital Trends, 28 June 2016, www.digitaltrends.com/home/pillo-home-health-robot/. Belluck, Pam. 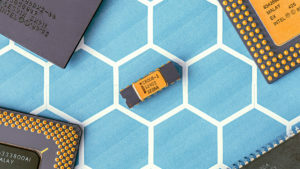 “First Digital Pill Approved to Worries About Biomedical ‘Big Brother’.” The New York Times, The New York Times, 14 Nov. 2017, www.nytimes.com/2017/11/13/health/digital-pill-fda.html. Agarwal, Ajay, and Avi Goldfarb. “Chapter 1: Introduction – Machine Intelligence.” Prediction Machines: the Simple Economics of Artificial Intelligence, edited by Joshua Gans, Harvard Business Review Press, 2018, pp. 4. Thanks, Saurav! I think your question is important – academic medical centers are certainly only one player in a rich landscape of potential leaders. Private health systems are also very capable of this, and many have partnered with device developers and technology companies to design innovative applications of these digital technologies. Within medicine, however, academic medical centers have traditionally held the crown of champion of scientific discovery. With their track record of leadership, there is a natural opportunity for them to adapt and lead the charge in the development of these new technologies as well – much as MGH played a role in the medical home demonstration programs launched by Medicare in the early 2000’s. Great post! It’ll be very interesting to watch the trajectory of the space over time. I know we ran into this on the technology side primarily through regulatory and security constraints. Once the doors open more fully there’s so much room for growth in AI and big data. Thanks, Walter! Agreed, regulations will have to thoughtfully consider the balance between privacy and innovation moving forward, especially when it comes to personal data.